Luxury watches • Rolex, Breitling, Chopard, Omega, Tag Heuer - HORANDO. 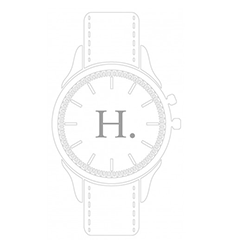 Horando offers a wide range of selected luxury watches at extremely attractive conditions. We offer an easy, serious and relaxed buying process where you can put the focus only on the selection of your dream watch. In addition to a wide range of brands such as Rolex, Breitling, Omega, Tag Heuer, through to selected timepieces from Cartier, Chanel, Chopard, Corum, or IWC, Panerai, NOMOS Glashütte, Ulysse Nardin, Hublot, Jaeger Le-Coultre and Audemars Piguet can we offer also more exclusive watches of other outstanding manufacturers such as A. Lange & Söhne, Breguet, Blancpain, Franck Muller, Vacheron Constantin or Patek Philippe uncomplicated promptly and at a very good price. In addition to our wide range of brands as well as luxury watches you can also expect a professional full service. 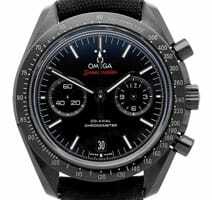 Besides a price which is way below the normal market conditions, each watch offered by us is guaranteed genuine, new and of course completely unworn. Each watch will be delivered with box, papers and the corresponding accessories such as screwdrivers, magnifiers, or second bracelets. Furthermore you can be sure that each ordered watch at HORANDO will be insured to the full amount. The sending will be done via our delivery partners UPS Express Saver or FedEx. After placing an order you can also pick up the watches directly in our showroom. Here you will find a relaxed atmosphere located on the premises of a former Rolex concessionaire in which you find your new dream watch with a glass of cappucino or sparkling wine. In our immediately available section you will find a large selection of coveted luxury watches, which are on the one hand held directly in stock (ready for pickup) and on the other hand available in a short time of 1-5 days. You are looking for your desired watch but have not found it yet? Send us your desired piece via our WATCH FINDER. 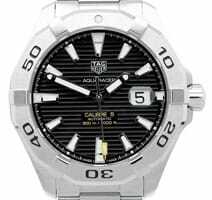 With your precise information concerning the brand, watch model and the reference number of the watch we will give you feedback on the availability, price and delivery time within the next 24 hours. Our service starts with a comprehensive consultation prior to your first order and ends only when you wear your new dream watch contentedly on your wrist. We are gladly available at any time during the entire processing and take care of your questions and concerns personally. It is completely irrelevant if we have to redirect the watch to your holiday destination, adjust the band individually in advance or arrange an engraving - the satisfaction of our customers is our top priority. If you order at HORANDO, you are also provided with a completely safe and reliable transaction. 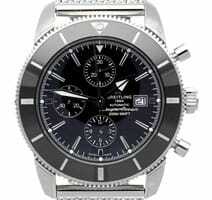 As a Chrono24 Trusted Seller and certified online dealer with the Trusted Watch certificate, our online shop also meets the Trusted Shops quality criteria. Therefore it has been awarded the Trusted Shops Seal of Approval. These criteria are continuously developed by independent consumer - and privacy advocates. The compliance is regularly checked by business lawyers and IT experts. Trusted Shops is specifically recommended by consumer advocates and government agencies for safe shopping on the Internet, e.g. Stiftung Warentest or the Federal Ministry of Justice. For our customers, we would like to create the perfect environment for a pleasant and reputable purchase of their next watch. Additionally, we would be very glad if they consider our other shop categories such as accessories or precious metals. 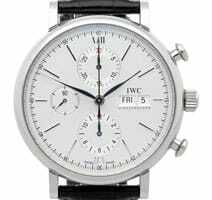 If you cannot find your new watch by Panerai, IWC, Franck Muller or Hamilton with us, we ask you to contact us at short notice. We have the best contacts throughout the entire luxury watch industry and are always in a position to offer you an optimal solution. If you are interested in a Rolex Seadweller Deepsea D-Blue, Rolex Day-Date, Submariner or Breitling for Bentley, horando.de is the right place for you. 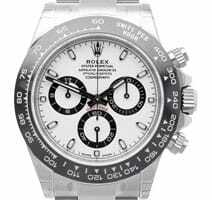 If you want to fulfill your long-cherished dream of a luxury watch like the Hublot Big Bang, the new Rolex GMT Master 2 116719BLRO or a sporting Chopard Mille Miglia GT XL we are your reliable and competent contact name.